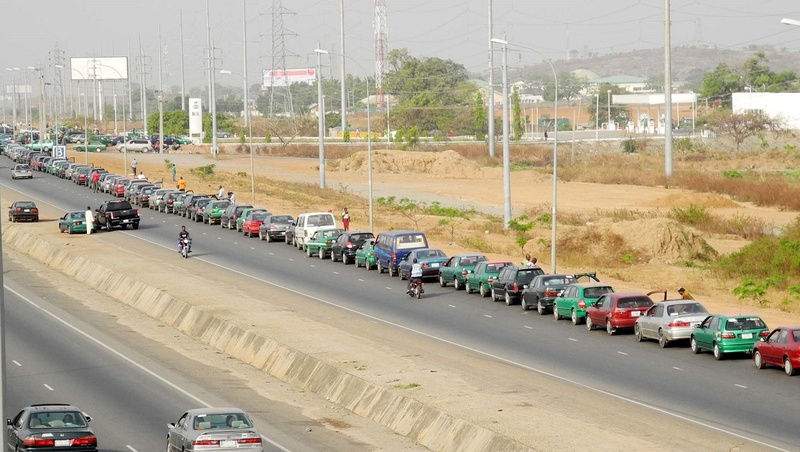 Consumers of Premium Motor Spirit (PMS) also known as petrol in Lagos and Abuja, saw the return of long queues at filling stations at the weekend. This is despite assurance from the Nigerian National Petroleum Corporation (NNPC) that it has enough products to bring the nation to normalcy in the supply of petrol. A visit to some filling stations in Lagos and Abuja yesterday, showed that scarcity of petrol was far from being over as many petrol stations were shut, while a few sold product above the official pump price of N145 per litre. Black marketers along some routes sold 10 litres of petrol at N4, 000 against the official pump price of N1, 450. As at yesterday, Oando, Total, and Wheel Oil around Itire and Surulere area of Lagos, were not selling petrol to customers. Also, Shark, Petroleum Manager, Sherfex and Aridot filling stations along Oshodi Apapa Expressway, were with neither attendants nor customers. MRS filling station, which was the only outlet selling product, had long queues. The situation was not different in Abuja as filling stations such as A.A, Rano, MRS, Rahamaniyya, Conoil and Shema petrol station along the Abuja-Kaduna Expressway, were all shut for lack of products. 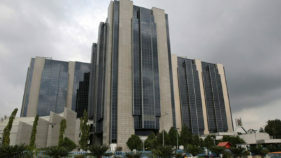 The Executive Secretary, Depot and Petroleum Products Marketers Association (DAPPMA), Olufemi Adewole, told The Guardian yesterday that they were not getting allocations from the NNPC, making it difficult for them to release products to retail stations. Adewole said that DAPMA members, who used to import 65 per cent of products before the NNPC assumed the role of sole importer, would only bring in supplies if the Federal Government resumed the payment of subsidy. The Group General Manager, Public Affairs, Ndu Ughamadu, attributed the scarcity to some hitches encountered at the weekend. He confirmed that NNPC now supplies product directly to MOMAN as measure to permanently end scarcity. According to Ughamadu, NNPC increased petrol supply on Sunday to fill the gap created by the technical hitches at the weekend. He insisted that NNPC has more than 20 days sufficiency both at marine and land depots and we are still operating 24 hours at the depots and all NNPC Retail Outlets to wet the nation with PMS. Meanwhile, the Seme command of the Nigerian Customs Service (NCS) has warned smugglers of Premium Motor Spirit (PMS) otherwise known as petrol through the boarder and creeks to desist from the act or face the wrath of the law. Already, the command has impounded about 55,000 litres of petrol with a duty paid value of over ₦N10 million from December 1, 2017 to date, mostly at Pashi-Yekeme community in Owode and the creeks. The Customs Area Comptroller, Mohammed Aliyu, in a statement made available to The Guardian, said the products were smuggled in 25 litres Jerry cans and not trucks as widely speculated, through the creeks and illegal routes. Aliyu further buttressed the point that the smuggling of this product in Jerry cans has been a recurring decimal that operatives always nip in the bud. The Comptroller assured that the present leadership of Customs is ready to bring erring officers who circumvent government efforts to face the consequences of their actions once their operation is seen to be at abeyance or not in sync with Customs core mandates. He warned smugglers and economic saboteurs to desist and when caught will be made to face the full wrath of the law as some are currently being prosecuted.